If we could take your mind off of Mayweather/McGregor (Aug 26) or even WWE Summerslam (Aug 20) for a moment and remind you that TKO 40 returns to La Tohu September 8th, and narratives are taking twists and turns as fast as the news comes out. Dyczka, the man who told us he was eating cake the night before his last knock out, was set to face six-foot-seven Najee Oulmoudene but a foot injury has forced the skyscraper to withdraw leaving the Panda to fight veteran Ricardeau Francois on short notice. The younger of the Jourdains, Bantamweight, Louis (4-1) makes his return following an amazing Fight of the Night bout at TKO 39 to face undefeated Atsushi ‘Hakilyu’ Fujino (3-0). The Japanese prospect has two finishes and one decision victory with Pancrase. Jourdain has shown a lot of promise, exhibiting many of the skills that make his older brother Charles the biggest star in TKO right now. If you have Fight Pass, click here to watch Louis’ brawl against Tony Laramie. 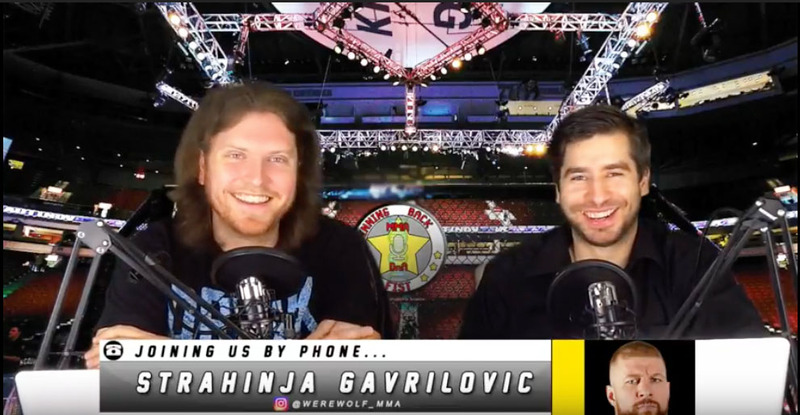 In perhaps one of the most shocking turn of events, we were very disappointed to find out that Kevin is out of TKO 40, citing he simply doesn’t believe he can be ready to fight, resulting a suspension from the org. indefinitely. 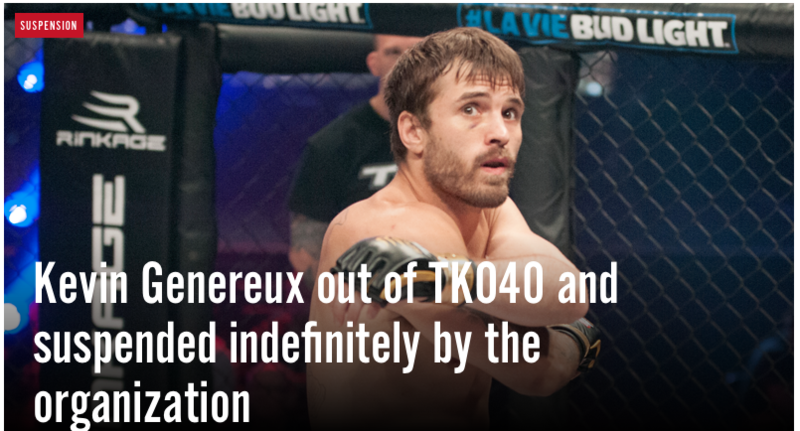 TKO President Stephane Patry remarked “Genereux decided on his own to pull out from the fight and refused to see our medical team for treatments and evaluation. I met with Kevin, he has no serious injuries but in his own words – this whole camp has been a mess for him,” this leaves a lot of questions up in the air for Genereux, who is 3-0 in TKO and 4-2 overall. Ranked #2 in the Lightweight rankings ahead of would-be opponent Jesse Ronson, Genereux now jeopardizes a possible title shot at TKO 41. Stay up to date with TKO on their site and look out for our TKO 40 previews on our YouTube Channel.